Following years of struggle against the status quo and a continued tirade against nepotism within the Pakistani system, Imran Khan finally managed to reach the corridors of power. The entire campaign of his party based upon eradicating corruption, justice for all and an end to nepotism. Merit was supposed to be given weight above all. Merely a month later, we have Khan sahib adopting the same forms of nepotism he once stood against. To begin with, a disqualified person is found chairing meetings with no lawful authority. To sugarcoat his disqualification he submissively tendered his resignation from his ‘official’ post in the party. However, retained his unofficial position and role in the same. He was present on almost all major occasions during the campaign season, actively canvassing for party candidates. The incumbent president specifically requested him to fly back to Pakistan in order to facilitate his campaign for the presidency. Where did the high-moral ground go? 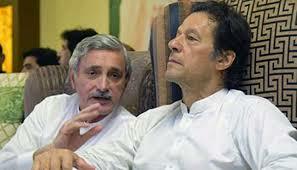 Following the polling day, Mr Tareen was tasked with reaching out to independent candidates. Swiftly enough, Mr Tareen flew around the country collecting independent candidates as precious jewels of the party’s collection. His disqualification? Effectively and conveniently overshadowed. 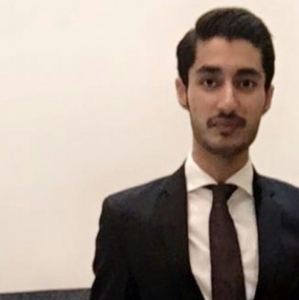 The second part where the disqualified Tareen played an important role is the selection of the cabinets and portfolios for different ministers. His influence on the chairman enabled him to secure a party ticket for the by elections for a close family relative. A relative who was seeking PML-N’s party ticket not too long ago. Even otherwise, reports have surfaced of Mr Tareen chairing meetings involving government officials. Why aren’t these actions being brought to question? After all PTI projects itself as a self-accountable party. Then why isn’t anybody raising a voice against the continued influence of a disqualified man on the party command. Why isn’t the party command distancing itself from such individuals? Similarly, a slogan had been raised that anyone tainted with allegations of corruption will not be a focal part of the government. How ironic that Aleem Khan was one of the favourites for the chief minister’s slot in Punjab. Nevertheless, he is still part of the cabinet holding a significantly important portfolio. Moments before taking oath he supposedly resigned from all of his businesses. Quite entertaining and comical if we were to analyse this move. Does this mean his family has nothing to with his businesses anymore? Oh! What they meant is that Aleem Khan has nothing to with the businesses anymore. He will only serve the province diligently and will certainly not be biased whilst providing his input to the cabinet regarding any policies which relate to his “former” businesses. This is without prejudice to the fact that the NAB inquiries against him are still pending. Another one of the promises put to rest by PTI. Talk about the party command, Imran Khan seems unrecognisable these days. The very Khan lambasting PML-N and PPP for their years and years of nepotism and preferential treatment to selected people has guised himself in the very confines of partisanship. Zulfi Bokhari, the famous close friend of the prime minister has been appointed as special assistant. This appointment isn’t just wrong on moral grounds but may have certain legal lacunas that it will face eventually. First of all, who is Zulfi Bokhari and what qualifies him for this appointment? PTI, unable to answer. Isn’t Mr Bokhari a foreign national? Does he not have wealth and properties abroad? Does he not have vested interests abroad? The only plausible answer is that he has been a close and faithful friend of Imran Khan. Nepotism? Certainly not. It’s Imran Khan and the PTI we are talking about. The holy cow. How can Imran Khan be involved in favouritism and not prefer merit. Ofcourse there is hidden merit which Mr Bokhari holds and we, the illiterate people who wish to see Khan fail, cannot see and comprehend it. Now the Insaafians might say that it has only been a days since the government came into power and we should give it some time before moving on towards criticism. Let’s clear up that aspect. I am not criticising PTI for the sake of criticism nor do I seek to malign the PTI government. However, what I actually seek to address is the abysmal set of principles that the government has based its foundations upon, from which I’ve highlighted a few above. There can be no talk of change if individuals disqualified by the Hon’ble Supreme Court of Pakistan are encouraged to become the epicenter of the government, NAB tainted people are handed out important cabinet portfolios and friends are appointed to important positions. This is the very essence of the government which is going to lead it in the years to come. If the seed ploughed is itself polluted, then no sweet fruit will be borne for the country to consume. The credibility of Imran Khan’s promises remains shaken to the core and will continue to do so if nepotism is adhered to. Else, the billion tree movement and austerity drives are going to be show pieces no different to the Orange Line, Ashiana Housing, Daanish schools and Yellow taxi schemes introduced by the predecessor government. Their core values were entrenched with the germs of nepotism and these schemes were introduced to divert the people’s attention. PTI will fail to highlight major differences from their predecessors. PTI’s various drives will remain clouded with the droplets of partisanship if the likes of Zulfi Bokhari are not removed. With a heavy heart we have to raise a voice against Khan’s hypocritical practices because without eradication of nepotism there can be no prosperity and change. With that said, PTI can continue to enjoy its grace period without facing criticism however, at the same time it needs to re-evaluate the fundamentals of its governance.